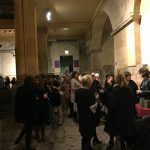 The Bath Business Women's Association is a not-for-profit organisation run by a volunteer committee of business women. Membership is free and the benefits of belonging to BBWA include monthly networking events, a monthly newsletter and the chance to exchange ideas and information with other business-women. BBWA was established in 1996 to provide a friendly, supportive forum for like-minded women to network and share business experience. 2016 saw us celebrate our 20th birthday! We hold monthly networking events throughout the year with the exception of August. These are held in a variety of different and interesting venues in the Bath area on weekday evenings from 6.30-8.30pm. BBWA has approximately 600 members from around the region, including a range of professions, one woman businesses and women working in larger companies. We encourage members to bring guests to our events to boost membership, increase networking opportunities as well as cement friendships and business relationships. Whatever your business we ensure you a warm welcome to any of our networking events and look forward to seeing you!